While some companies have brought contact centre work back onshore, the growth rate of one offshore location for UK companies stands out: South Africa. Here’s why. Everyone in South Africa either has English as a native language or is taught English at school from an early age, producing a large English-speaking population of roughly 5 million. The accent is neutral and easily understood by the British, leading to fewer complaints and ‘lost in translation’ moments than alternative offshore destinations. The culture in South Africa is more closely aligned to the UK than in many other offshore destinations and the legal and fiscal structure is also comparable. What’s more, the consumer experience is similar, so agents are able to easily empathise with UK customers. The time difference between South Africa and the UK is just one or two hours (depending on the time of year). It’s also super easy to get to, with at least two non-stop flights per day to Cape Town or Johannesburg from Heathrow - and ticket prices as low as £600. Thanks to a thriving tourism market, quality roads, business premises and retail outlets already exist in South Africa. Telecommunications is now extremely reliable thanks to investment in undersea cables. As for broadband connectivity, the government has pledged to have 80% penetration at 100Mbps by 2030. Data laws are similar to those in the UK, as are certifications and product guarantees. Plus, there is a large BPO industry in South Africa already serving the domestic market and overseas clients, so buyers of contact centre services are spoilt for vendor choice. Improved infrastructure has also reduced telecoms costs by some 90% since 2003 and wages are less than half what they cost in the UK. This, combined with a weak Rand, results in 40-50% savings on operating costs in the UK or Northern Ireland, and 20%+ savings compared to locations in eastern Europe (e.g. Poland). Critical to the success of any country’s BPO industry is government support. The South African government is an active promoter of BPO as a significant contributor to employment in the burgeoning services economy. The Government has particularly aligned with the UK because of the cultural similarities and almost identical time zone - indeed, the UK accounts for 75% of the SA offshore market. South African BPO vendors understand that it is not enough simply to be cheaper than a domestic contact centre, so there is a strong emphasis on value creation, and quality of service provision. Industry associations provide quality assurance through a focus on up-skilling and career development and, as a result, companies are reporting high levels of customer satisfaction, sales conversion and NPS scores. In addition to reduced costs, providers in South Africa are promising increased customer retention, improved up-sell rates and process efficiency, and a better customer experience than other offshore destinations. The city of Durban in particular has established itself as a centre of excellence for customer acquisition and telesales activity. 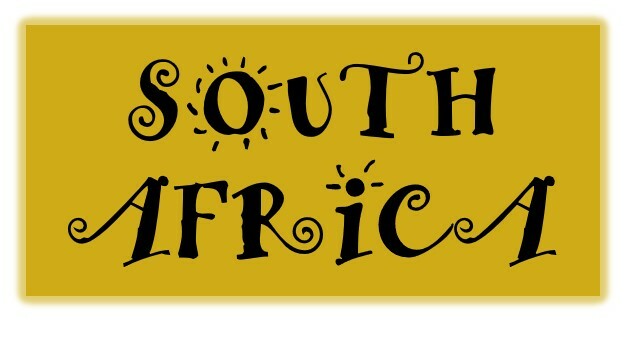 Quality of life in South Africa is high - great weather, great food, and many tourist attractions make for an easy sell to managers or trainers who need to relocate to South Africa for extended periods. The weak Rand stretches salaries - Johannesburg and Cape Town are ranked 154th and 179th respectively on the Worldwide Cost of Living Index (so it costs less to live there than in Cairo or New Delhi). In the last 5 years, South Africa has been named Offshoring Destination of the Year by the Global Sourcing Association (UK) and by the European Outsourcing Association. Many of the UK and Europe’s biggest brands outsource customer contact to South Africa – such as Talk Talk, British Gas and Lufthansa. To get more information about leading contact centre outsourcers in South Africa, contact us or enter your request to gather vendor information.